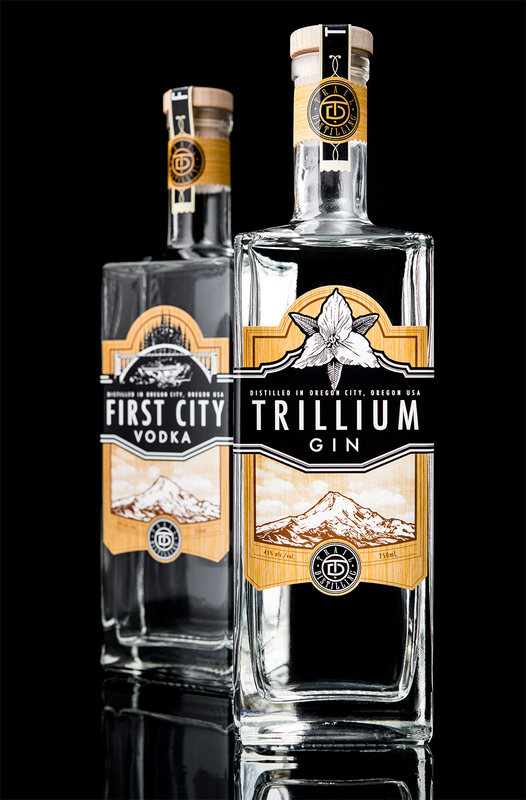 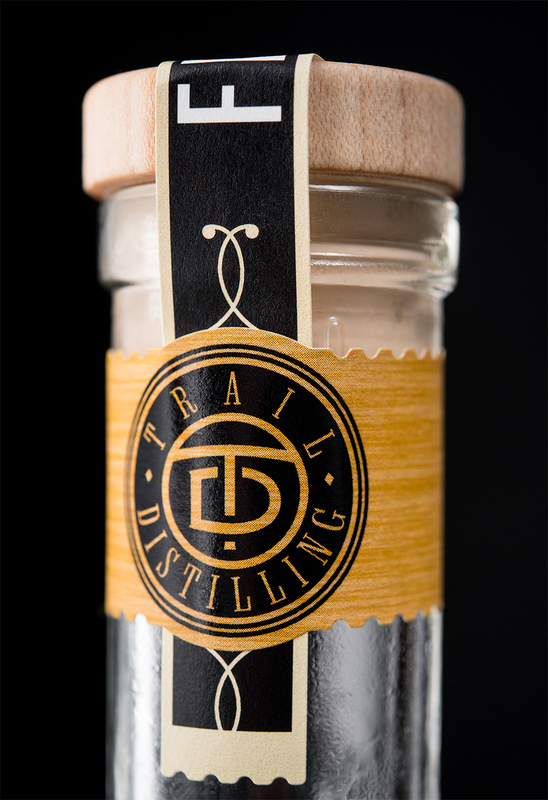 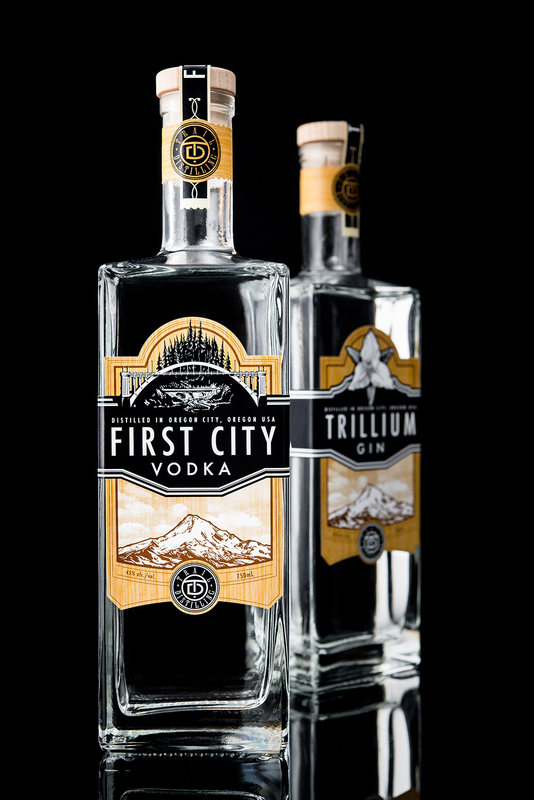 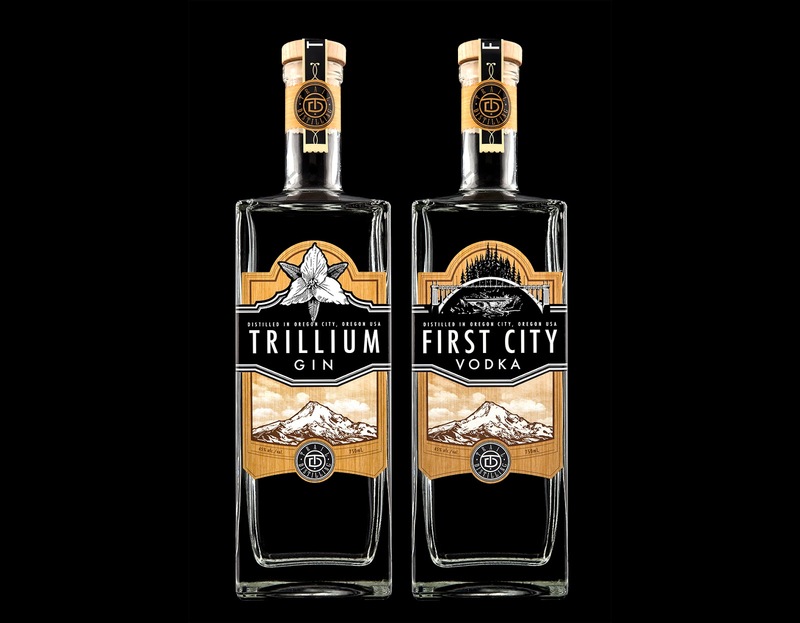 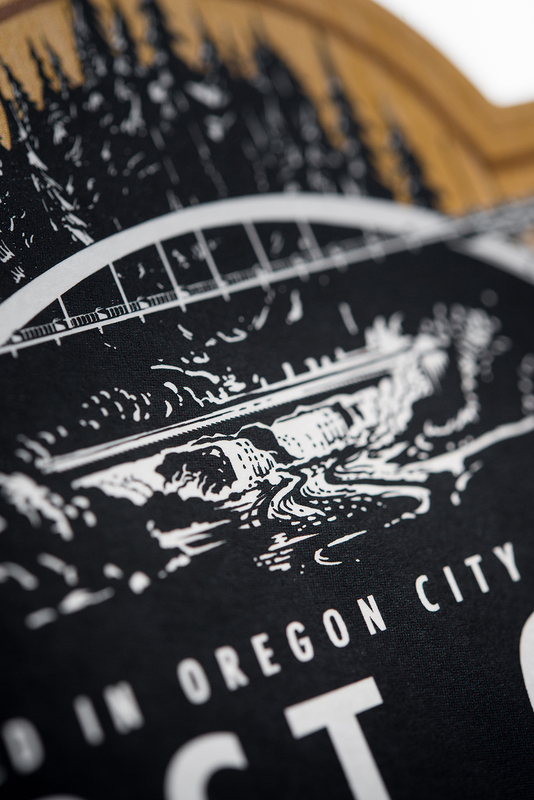 For Trail Distilling, we created a label system with a rugged elegance that evokes Oregon City’s beautiful urban spaces amidst a powerful natural landscape. 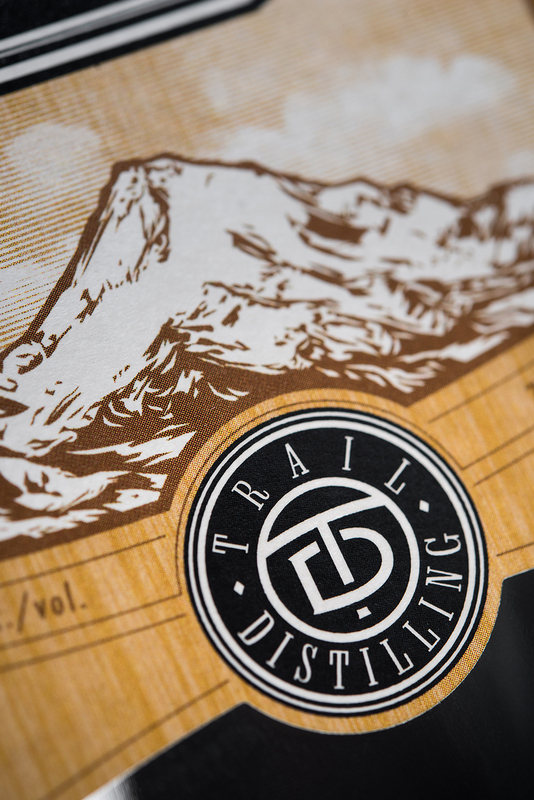 The main label is composed of two distinct areas: the wood grain vertical area, acting as the background and unifying the product line, features the iconic Mt. 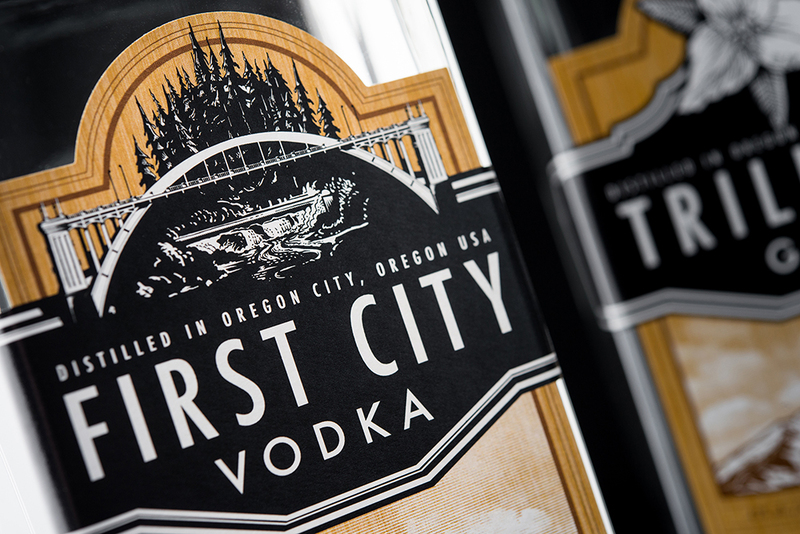 Hood; the black-and-white horizontal area, taking the foreground and wrapping its wings around the bottle’s sides, brings individual character to each product with custom illustrations. 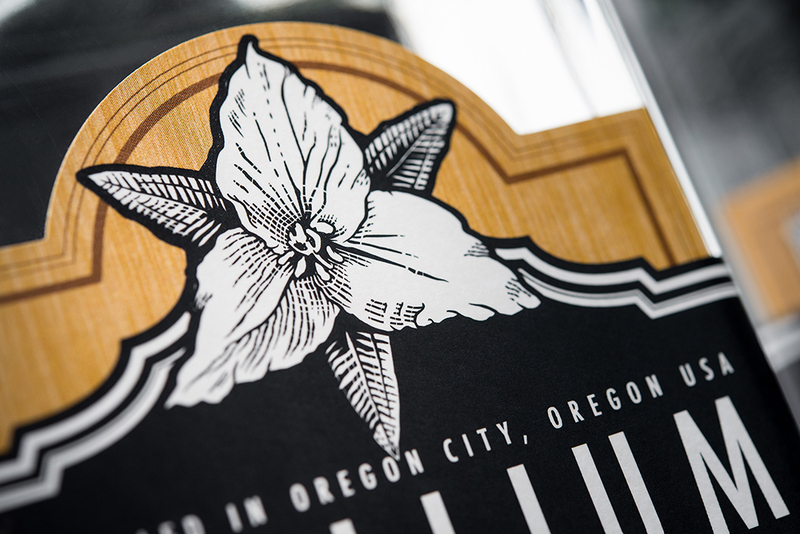 This combination approach allowed for complex and detailed edges, such as the trillium flower’s extended sepals and the spaces between the bridge’s pillars, that would have been impossible with a diecut. 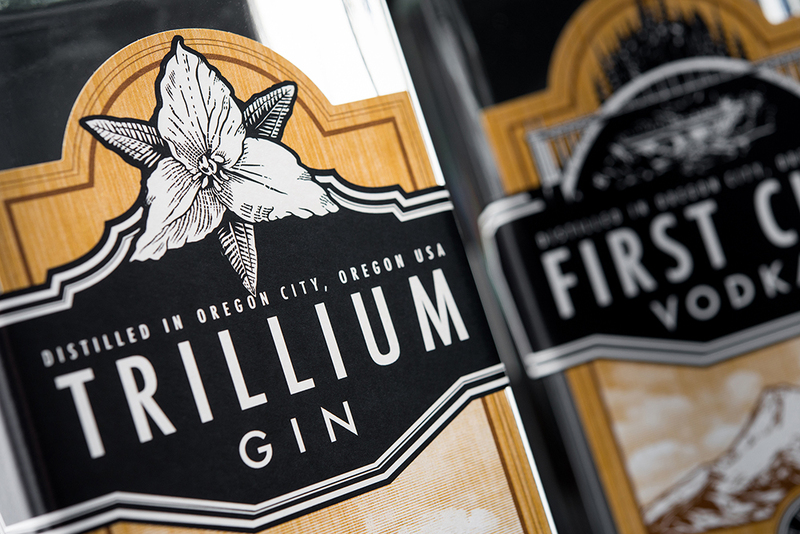 An extra dimension is added with spot UV popping the foreground elements out. Distinctive Art Deco borders and filigree play against the illustrations, and for a finishing touch, the cap strap and neck strap echo the criss-cross motif of the main label, reversing the colour composition for balance.